Add me on PlayStation Network! Hai guys! I'm Karl. Welcome to my profile! How are yah? 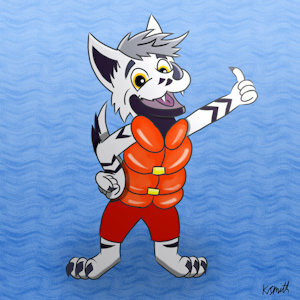 I'm a New Zealand furry usually friendly and happy to help out. I'm absolutely nuts about animals, animation, computers and aviation, plus I totally adore Balto, Bolt, and a majority of other cartoon animals. I just feel I can totally relate to them because of their personalities. Loving your art, Karlamon. I hope I can continue to see more of it.